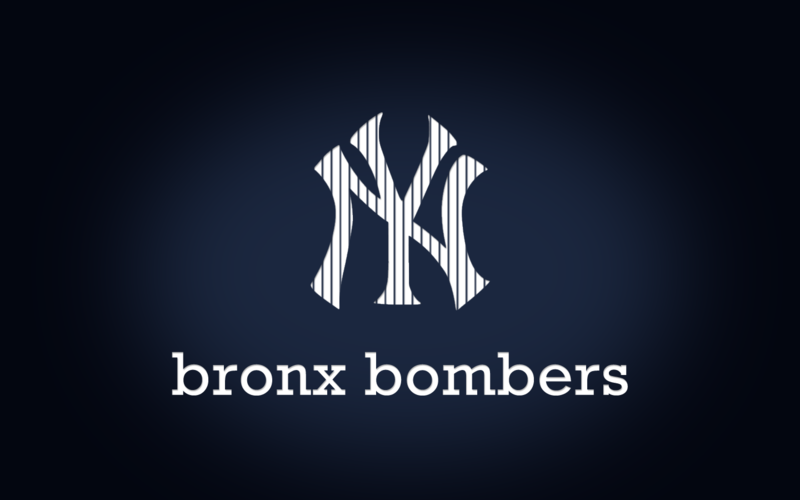 The Yankees roots are with the Baltimore Orioles (no relation to the current Baltimore Orioles) who were one of the original eight franchises. The Orioles struggled in their first two years and in 1903 they moved to New York, where they became the Highlanders. The Highlanders had a few decent seasons during their first 15 years of existence, but were basically a second division team. That begin to change in the late teens, and then before the 1920 season the Yankees bought Babe Ruth from the Boston Red Sox in what would become the most famous and notorious trade in sports’ history. In 1920 Ruth hit a then-record 54 home runs in. Lead by the Bambino, the Yankees made the World Series in 1921 and 1922, losing both times to the crosstown Giants. In 1923 they won their first title, defeating the Giants this time. In 1925 Lou Gehrig joined Ruth in the middle of the line up and pair would lead the Bronx Bombers to World Series wins in 1927, 1928 and 1932. Ruth played his last season in New York in 1935, but the Yankees didn’t miss a beat, winning titles in 1936, 1937, 1938, 1939, 1941 and 1943 thanks to Gehrig, pitcher Lefty Gomez and Joe DiMaggio. After a brief lull with stars like DiMaggio and Phil Rizzuto serving in the military, the Yankees added titles in 1947, 1949, 1950, 1951, 1952, 1953. By ‘53 the old guard had been supplanted by a new core centered around Yogi Berra, Mickey Mantle and Whitey Ford. That group, later joined by stars like Roger Maris, Elston Howard and Ralph Terry, won the World Series in 1956, 1958, 1961, 1962. The Yankees lost in the Fall Classic in 1963 and 1964 and with Berra retired, Maris traded and Mantle rapidly fading the team went through their worst decade since their early days. Things started to look up again in the mid ‘70s, thanks to new owner George Steinbrenner’s willingness to spend millions in free agency. Big money signings Reggie Jackson and Catfish Hunter joined homegrown stars Thurman Munson and Rod Guidry to lead the Yankees to three straight championship between 1976 and 1978. The Jackson led-Yankees would add another title in 1981, but the rest of the decade was one of frustration as the Yanks never made the playoffs, despite the presence of stars Don Mattingly, Dave Winfield and Rickey Henderson. 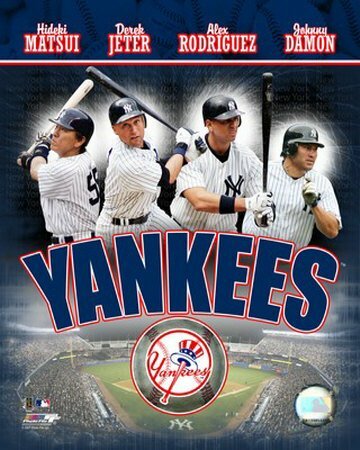 In 1996 it was young stars Derek Jeter, Andy Pettitte and Bernie Williams leading the team to what would become the first of four championship in five years. 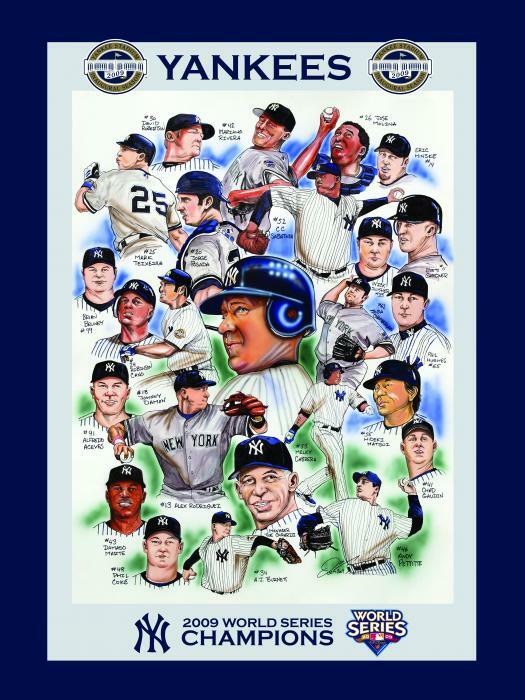 Key players: Jack Chesbro, Willer Keller, Babe Ruth, Earle Combs, Tony Lazzeri, Waite Hoyt, Herb Pennock, Bill Dickey, Lou Gehrig, Lefty Gomez, Red Rolfe, Joe Gordon, Phil Rizzuto, Joe Dimaggio, Whitey Ford, Don Larsen, Yogi Berra, Ralph Terry, Elston Howard, Mickey Mantle, Roger Maris, Joe Pepitone, Willie Randolph, Reggie Jackson, Thurman Munson, Goose Gossage, Graig Nettles, Catfish Hunter, Ron Guidry, Dave Winfield, Don Mattingly, Ricky Henderson, Derek Jeter, Paul O’Neill, Bernie Williams, Andy Pettitte, David Cone, Mariano Rivera, David Wells, Roger Clemens, Jorge Posada, C.C Sabathia, Johnny Damon, Hideki Matsui, Robinson Cano. Key managers: Miller Huggins, Joe McCarthy, Casey Stengel, Billy Martin, Joe Torre, Joe Girardi. Division titles: 2012, 2011, 2009, 2006, 2005, 2004, 2003, 2002, 2001, 2000, 1999, 1998, 1996, 1981, 1980, 1978, 1977, 1976. League pennants: 2009, 2003, 2001, 2000, 1999, 1998, 1996, 1981, 1978, 1977, 1976, 1964, 1963, 1962, 1961, 1960, 1958, 1957, 1956, 1955, 1953, 1952, 1951, 1950, 1949, 1947, 1943,· 1942, 1941, 1939, 1938, 1937, 1936, 1932, 1928, 1927, 1926, 1923, 1922, 1921. 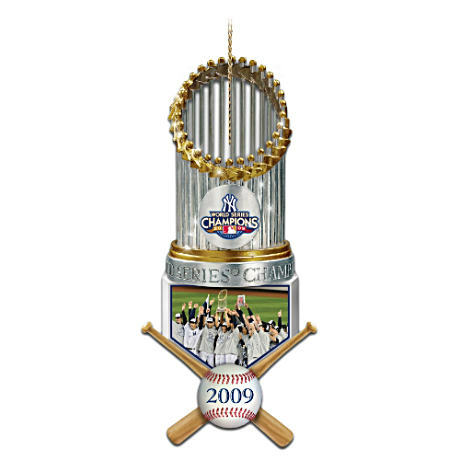 World Series titles: 2009, 2000, 1999, 1998, 1996, 1978, 1977, 1962, 1961, 1958, 1956, 1953, · 1952, 1951, 1950, 1949, 1947, 1943, 1941, 1939, 1938, 1937, 1936, 1932, 1928, 1927, 1923. All time record: 9947 and 7570.